Special hook & knife diamond sharpeners. 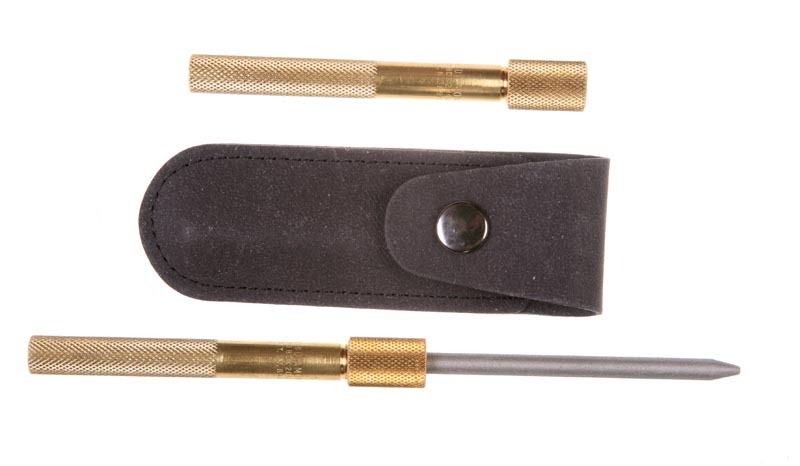 3-1/2″ Diamond round shaft, retracts into plastic handle with small and large grooves for fishhooks. Red, Green, Black and Orange. 3/4″ x 2-1/2″ Diamond Stone, Clip can be used to attached to vest, belt loop or as a key chain. 3-1/4″ x 1/4″ Diamond Round Shaft. Stores in Brass handle. Includes pouch with belt loop. 2-1/4″ Diamond D shaped shaft with groove for fishhooks. Opens to 5-7/16″. 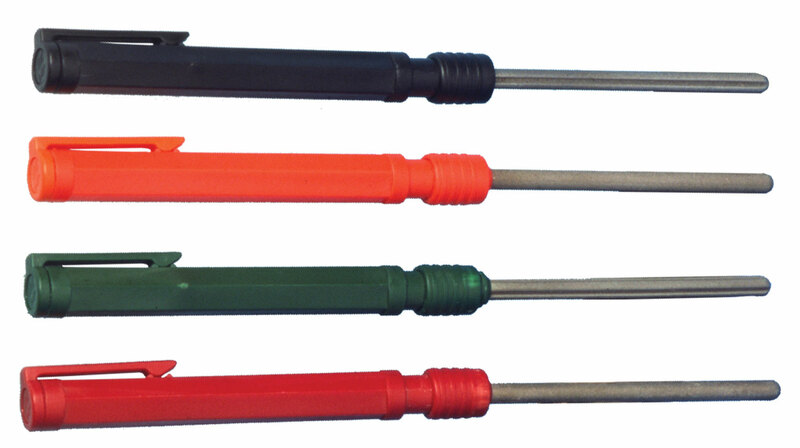 Stores in pen type cap. 2-1/2″ Diamond D Shaped Shaft with a groove for fishhooks with Hook Disgorger on the end. ST/K Pocket sized sharpener with tapered shaft for serrated blades.